Monkeys are going to steal your babies! Add this to a long list of reasons to facepalm at PETA. 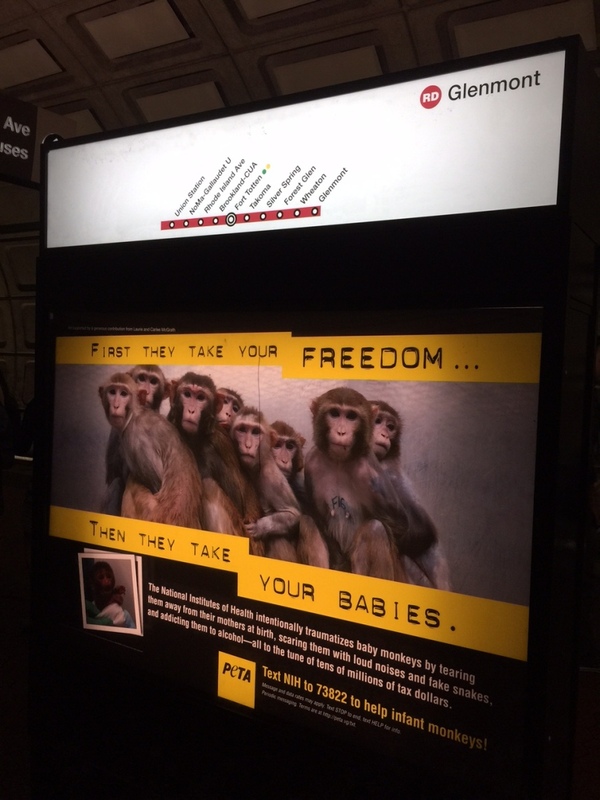 They recently implemented this campaign in the D.C. Metro to create awareness for the treatment of baby monkeys. The problem is that the designer used poor hierarchy and grouped the text with the image, unintentionally conveying that the monkeys pictured are taking your freedom and your babies. Oops.